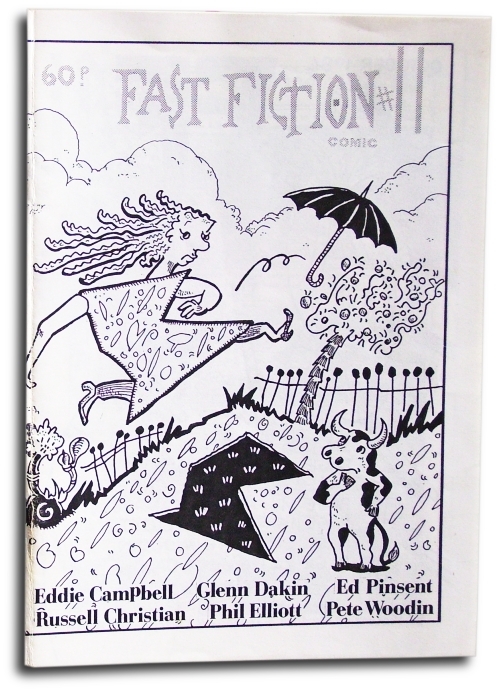 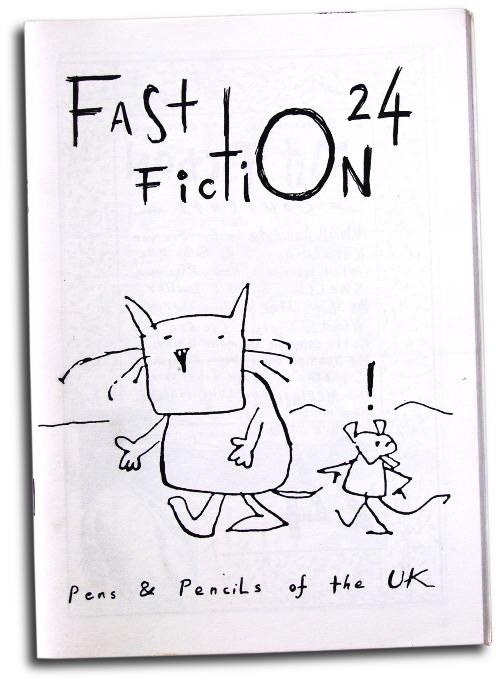 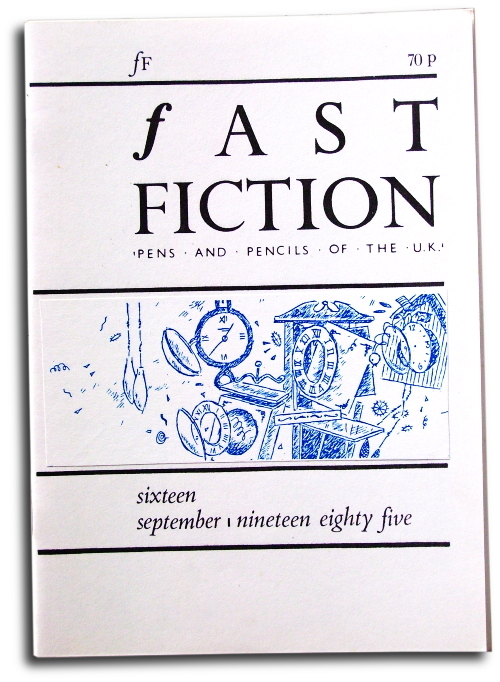 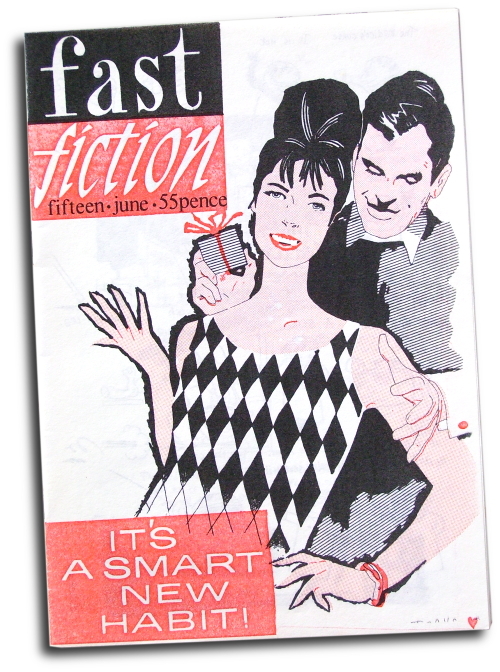 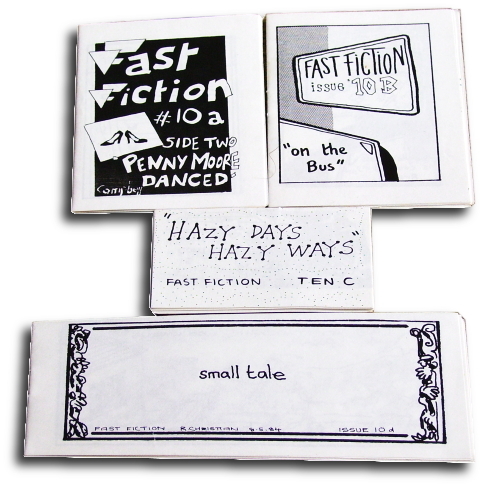 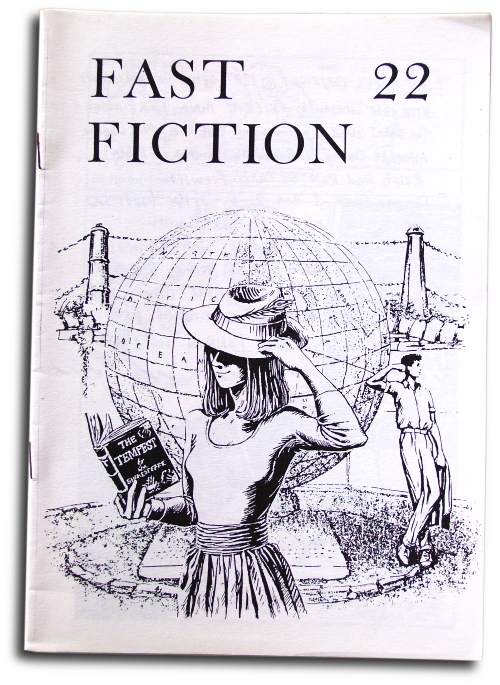 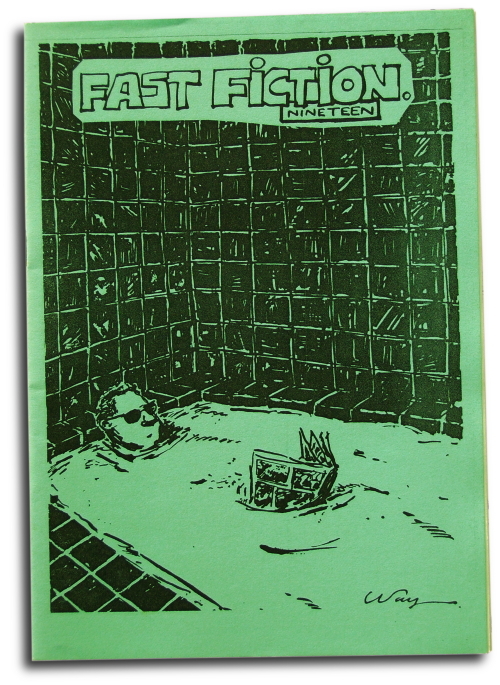 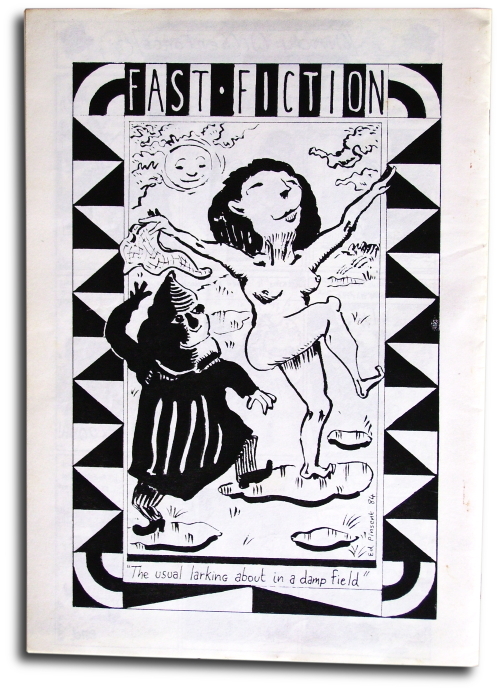 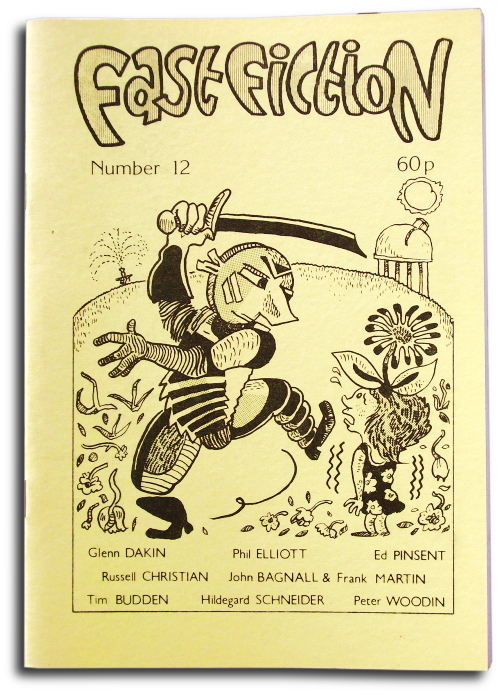 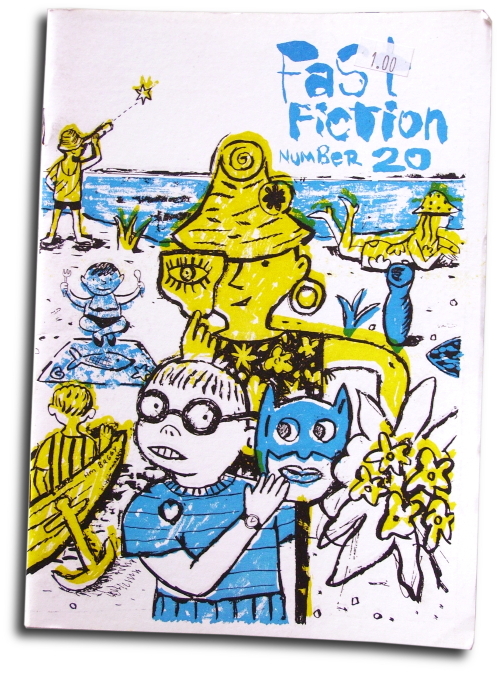 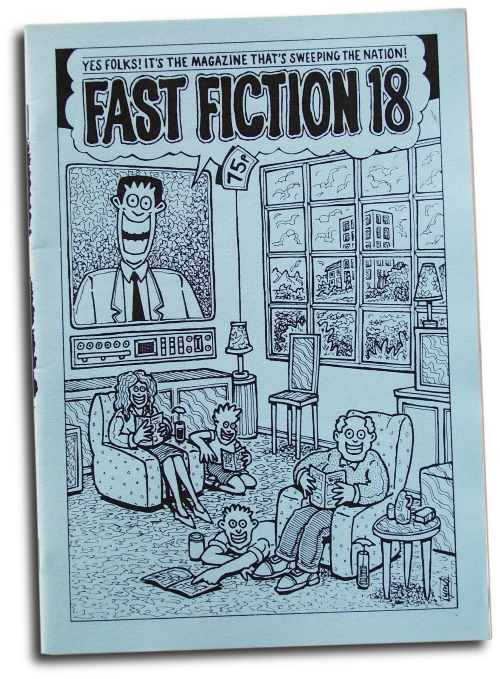 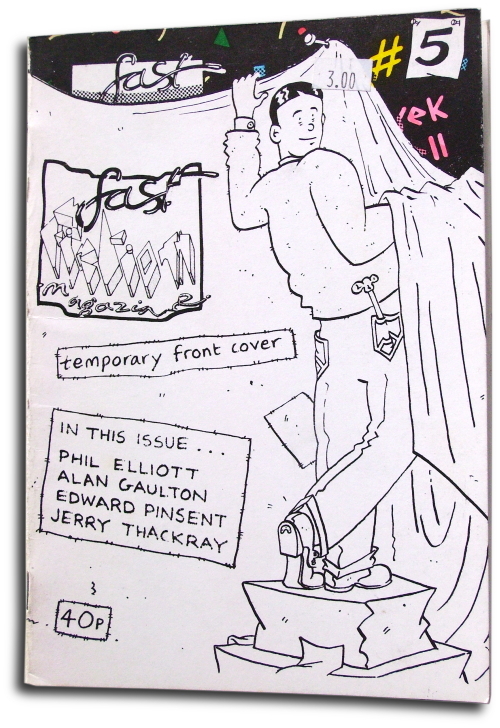 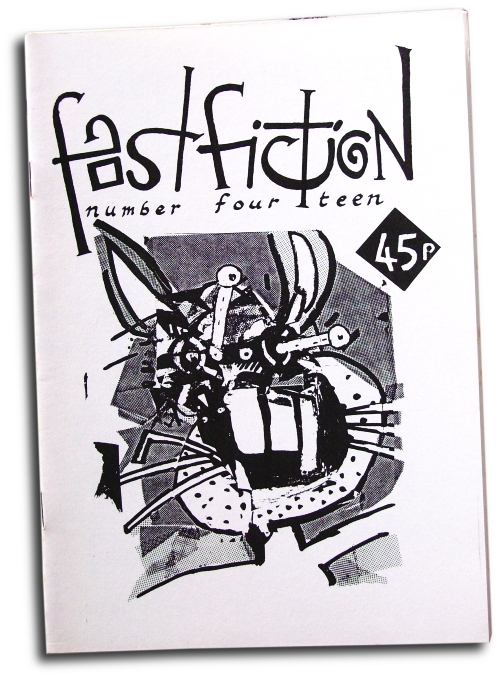 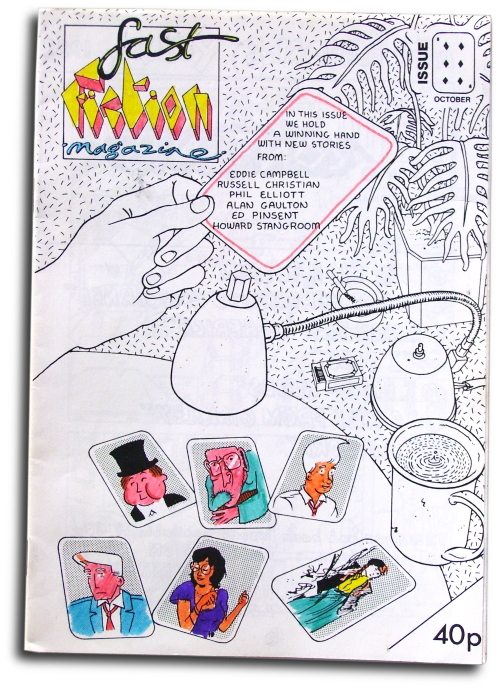 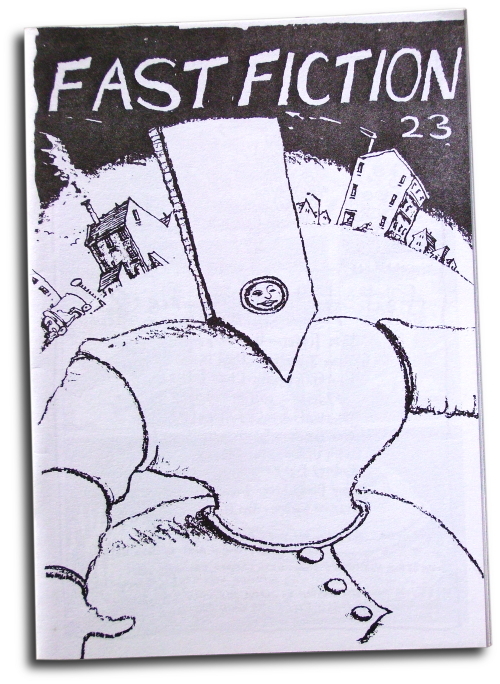 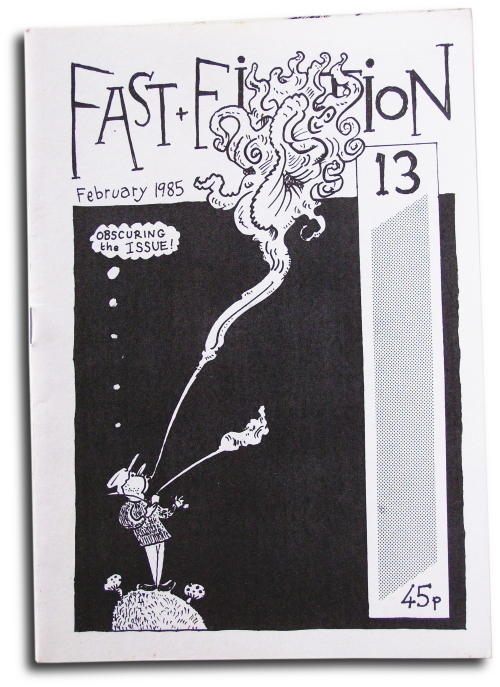 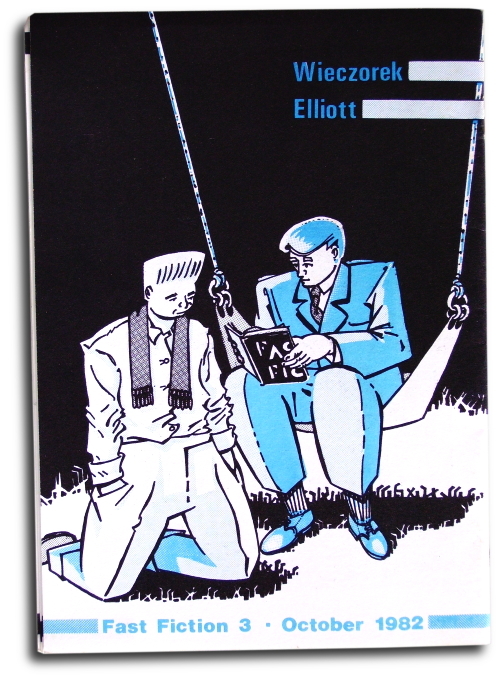 Fast Fiction was edited by Phil Elliott from its inception for the first 11 issues, from 1982 until 1984. 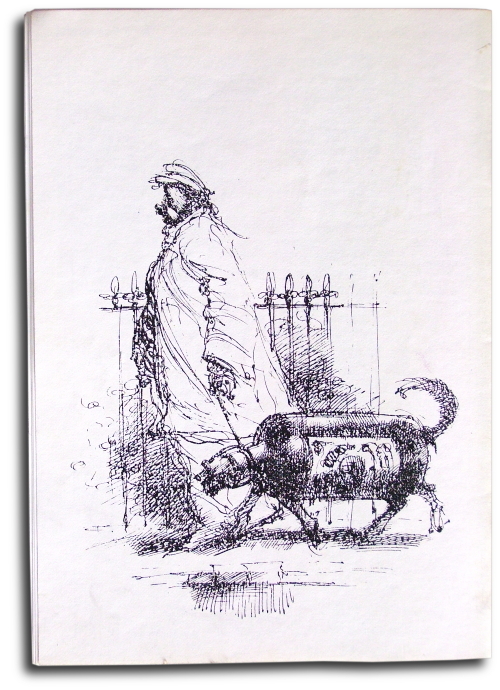 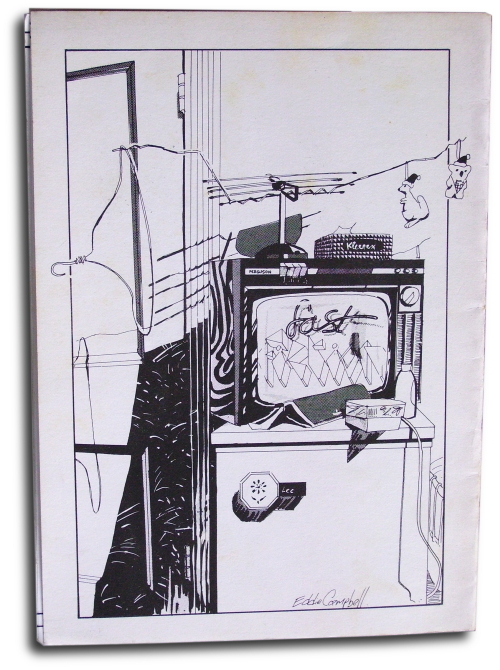 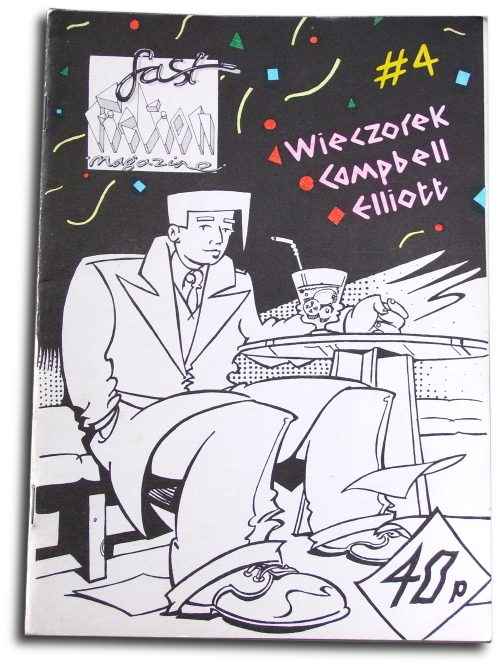 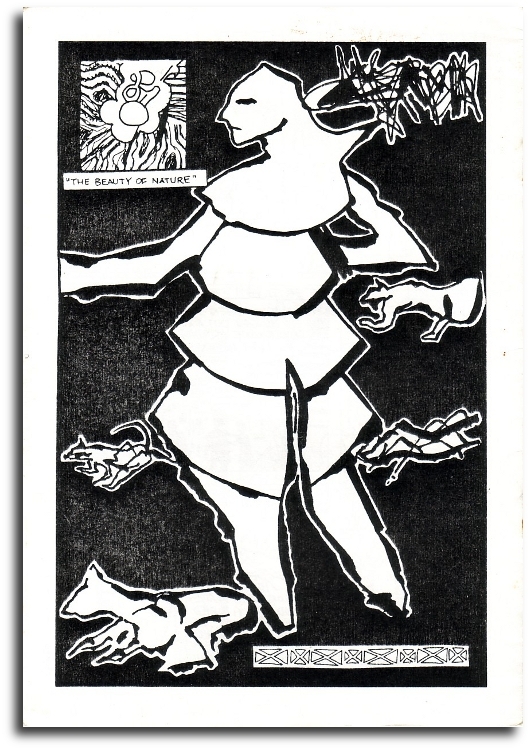 To begin with it was a showcase for work by Elliott, Eddie Campbell, Ian Wieczorek, the writer Alan Gaulton, Howard Stangroom, and others. 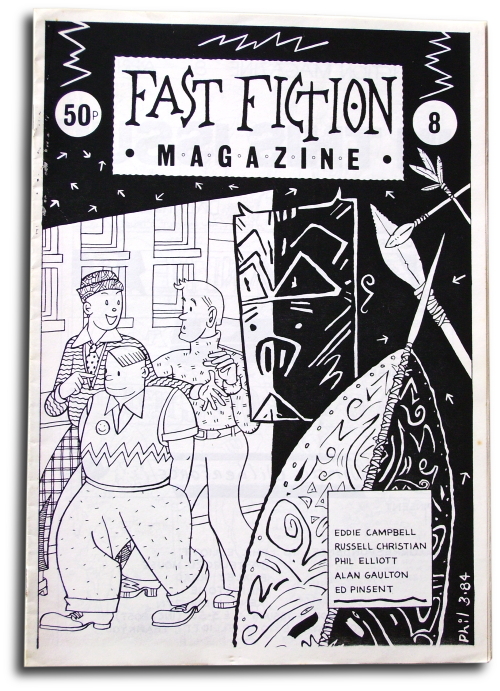 Later issues included Ed Pinsent, Russell Christian, and others. 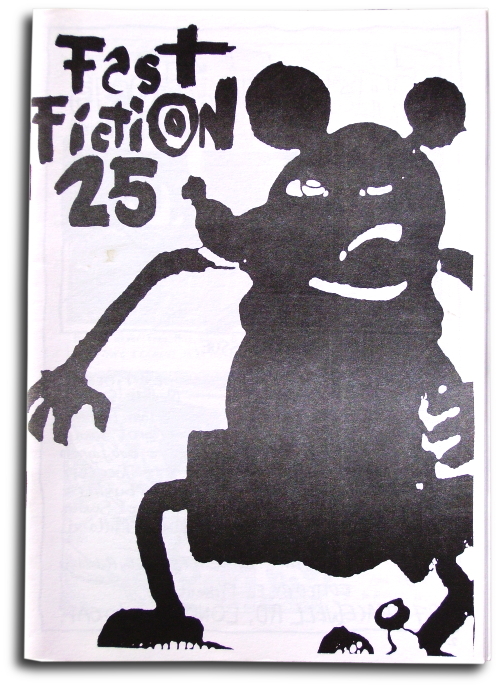 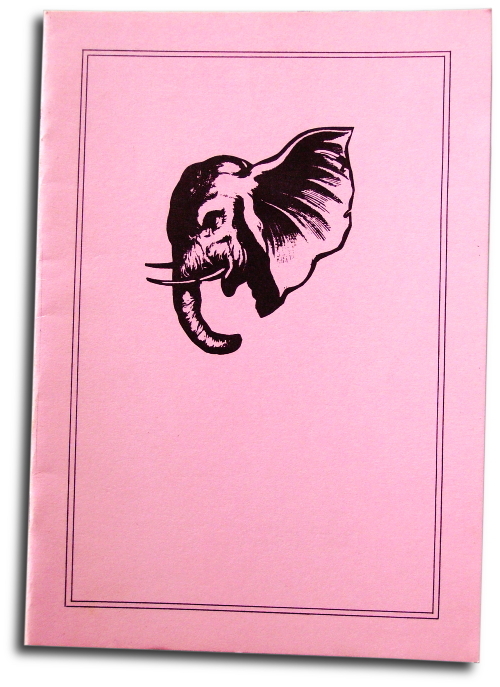 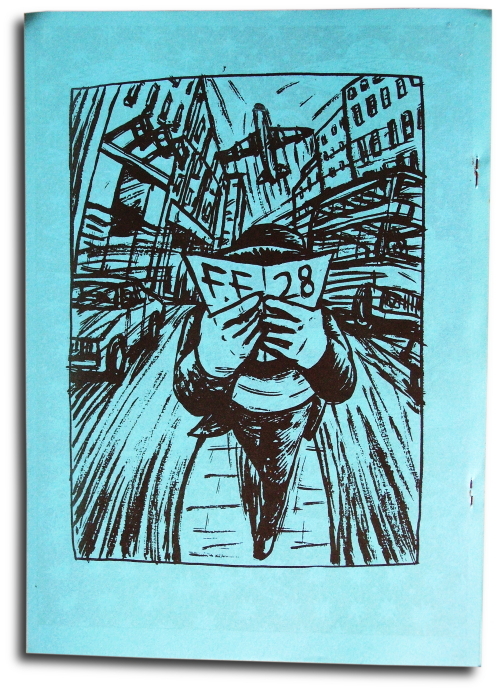 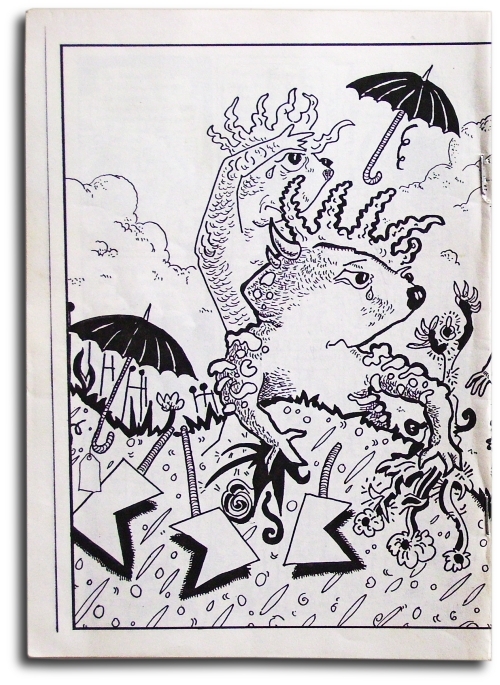 EP took over as editor for issues 12-30; I published 18 issues in six years (1984-1990). 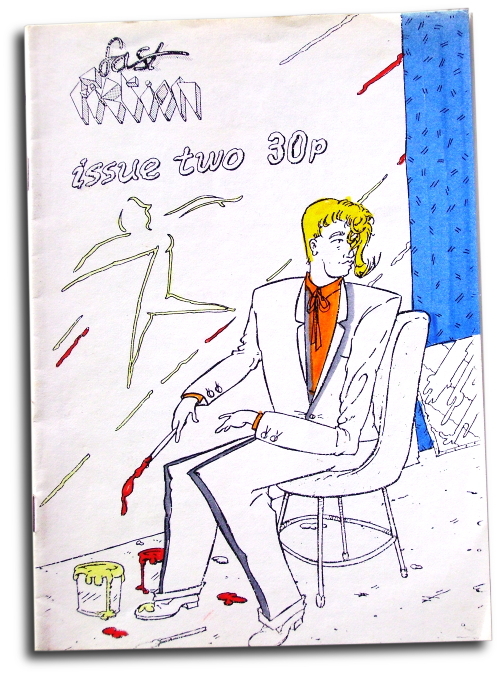 Under my editorship the magazine expanded to showcase all-new work from a larger range of artists. 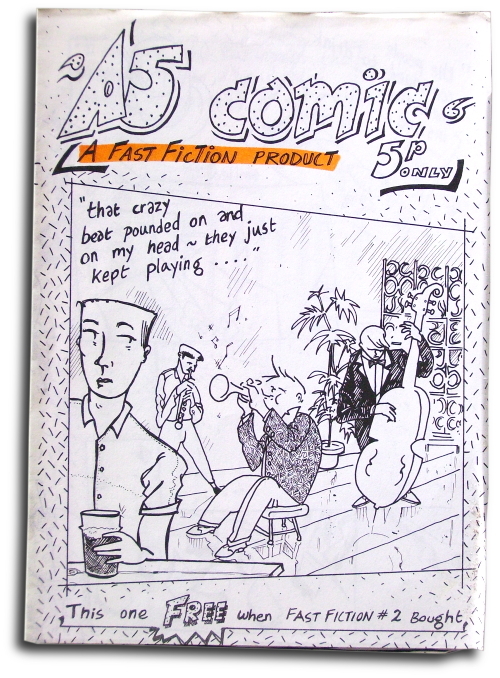 These talents included John Bagnall, Glenn Dakin, Russell Christian, Carol Swain, Bob Lynch, Woodrow Phoenix, Chris Flewitt, Caspar Williams, Mark Robinson, Chris Reynolds, Phil Laskey, Steve Way, Tom Tiffin, John Miller, Tim Budden, Frank Martin, Merv Grist, Luke Walsh, Rodney Rigby, and more. 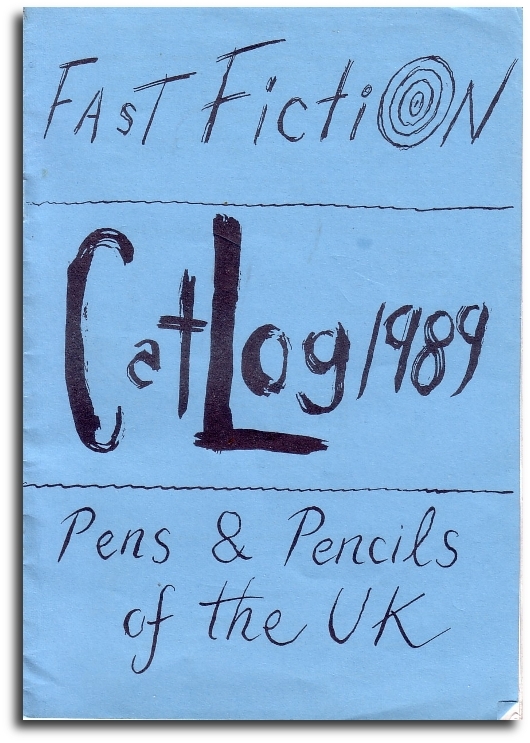 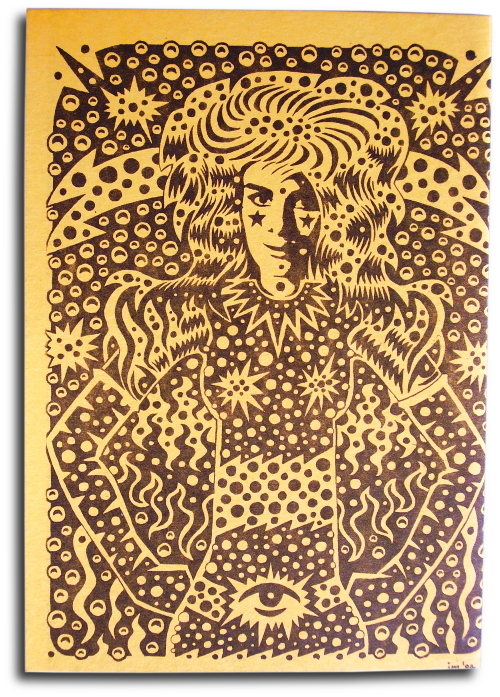 Front covers (and some back covers) can be seen in this gallery. 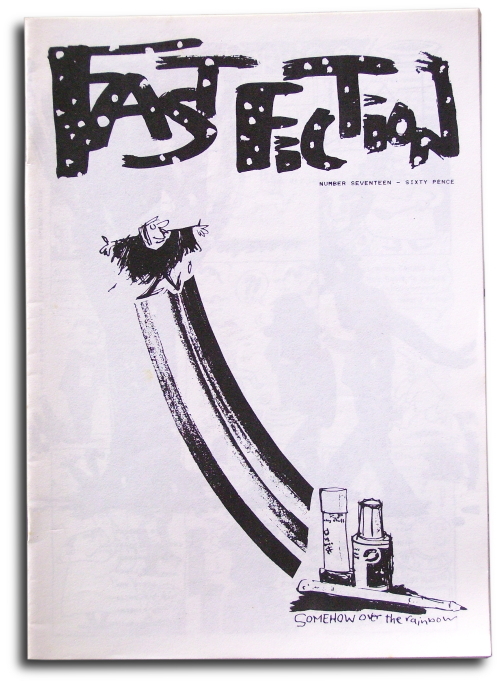 Click the links to your left for more contextual information about each issue. 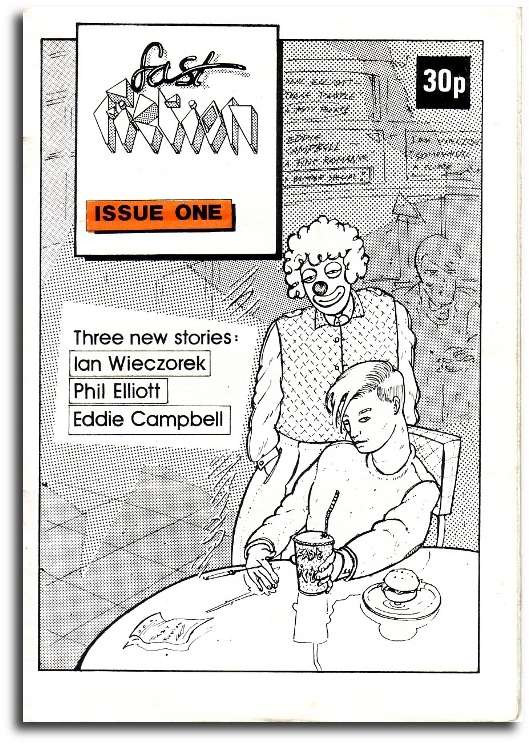 Click the covers below to see larger versions. 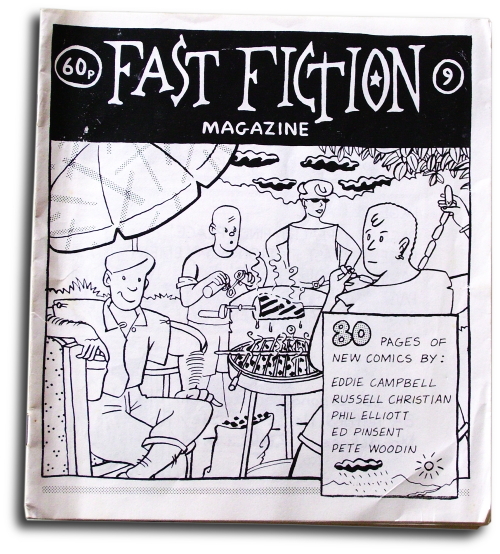 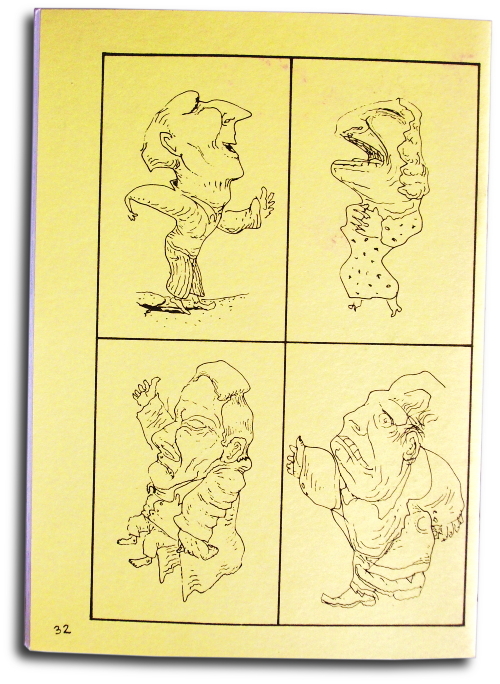 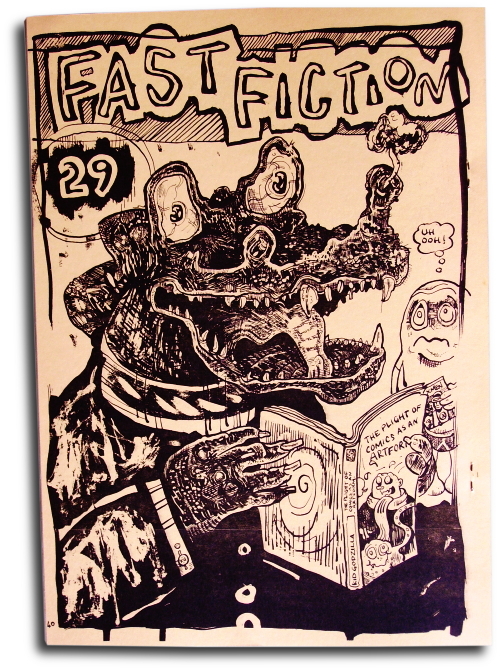 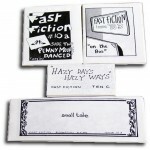 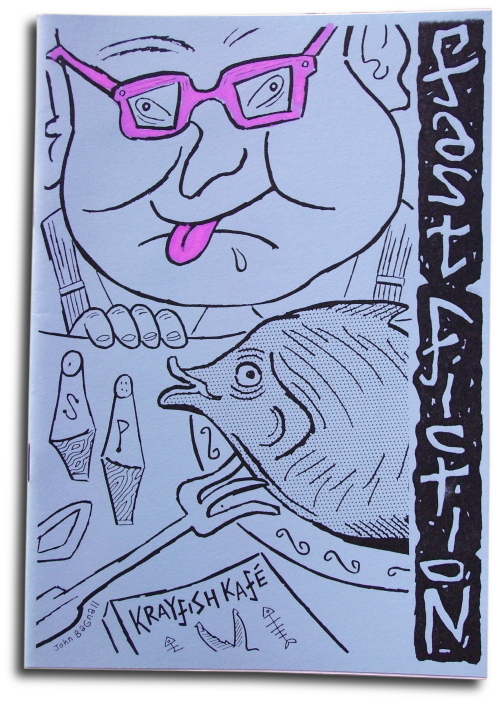 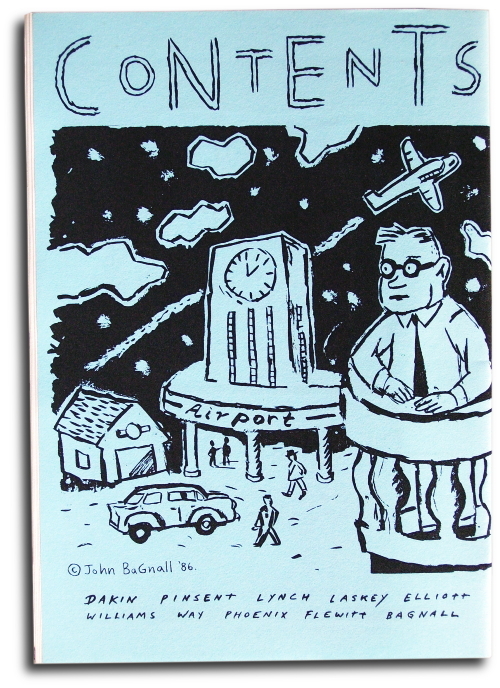 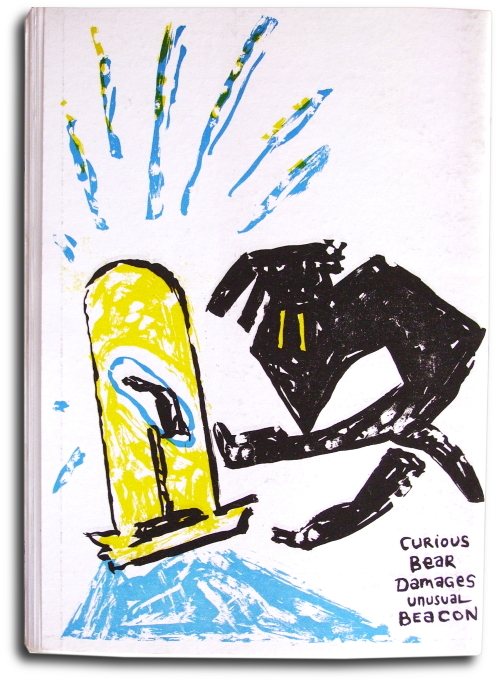 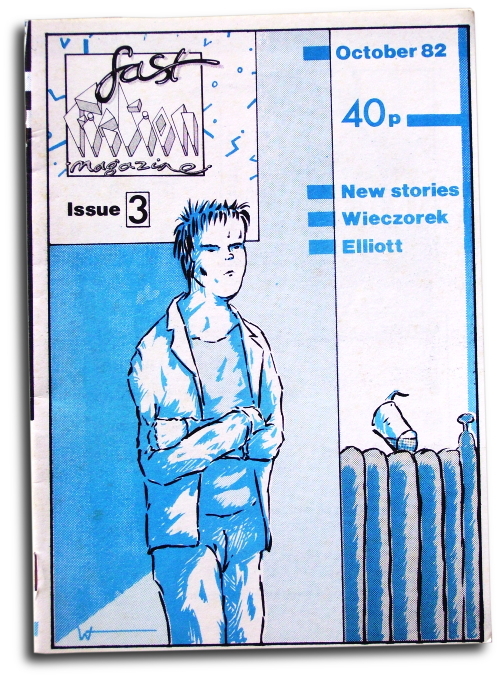 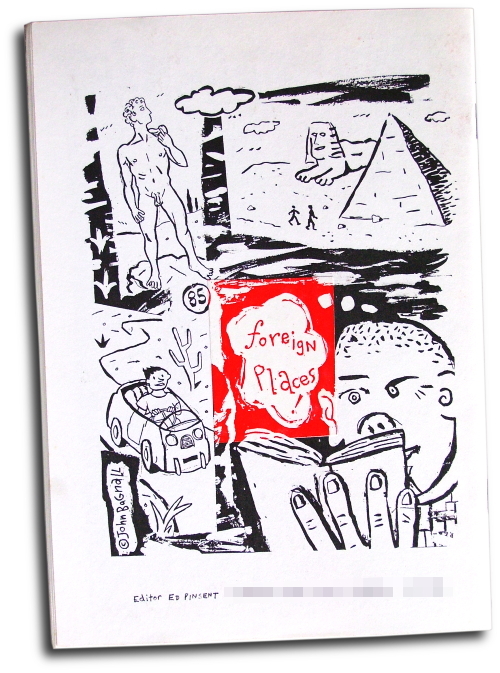 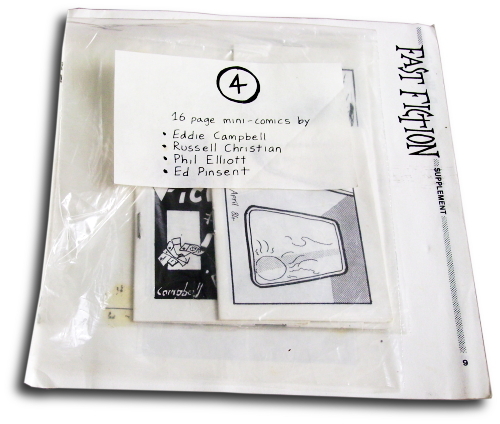 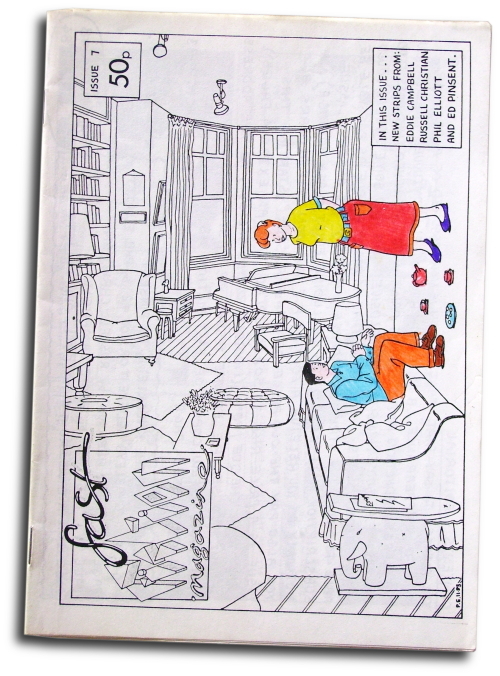 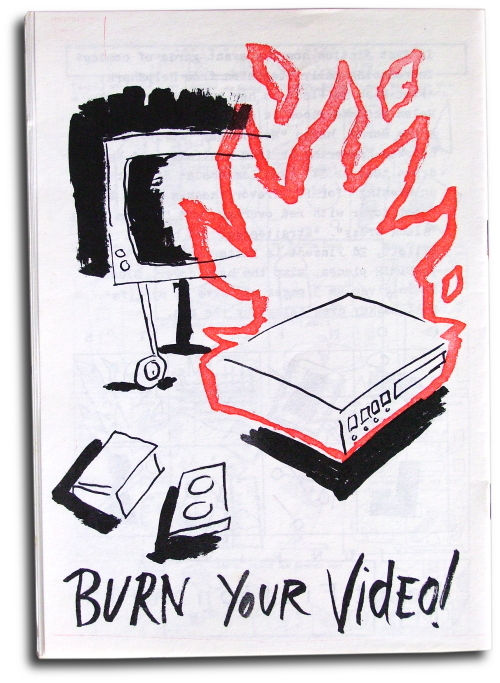 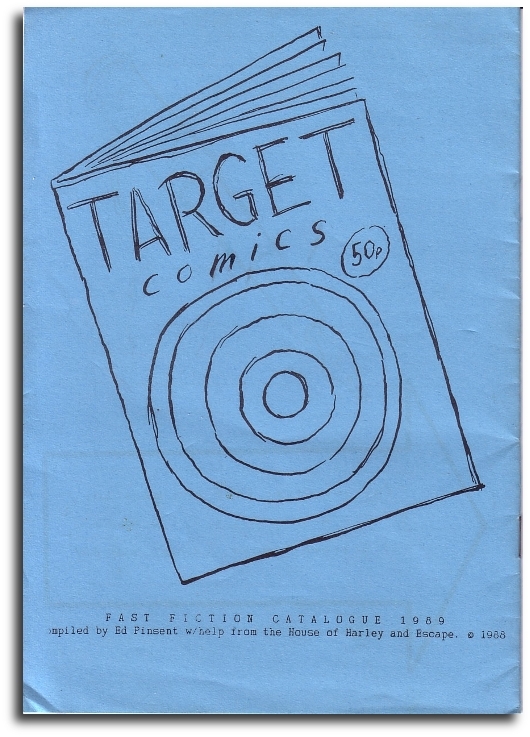 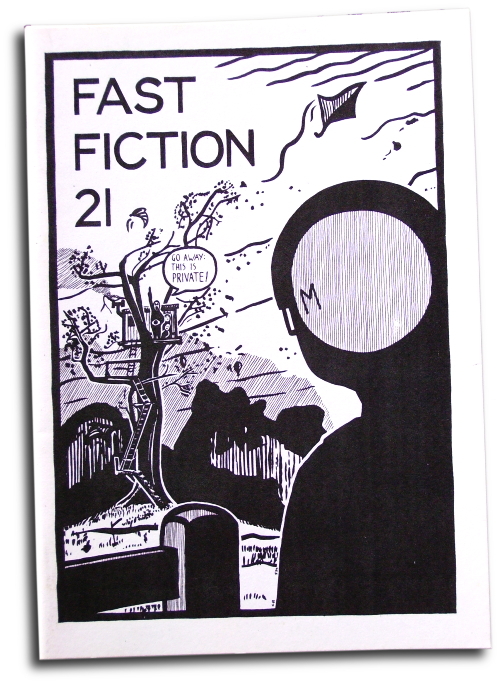 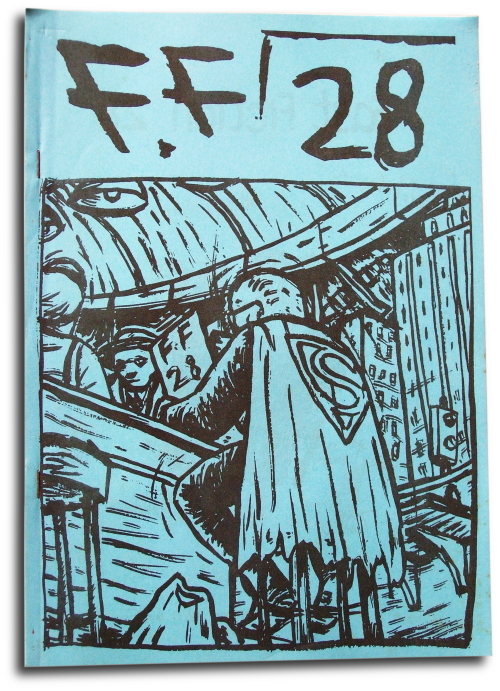 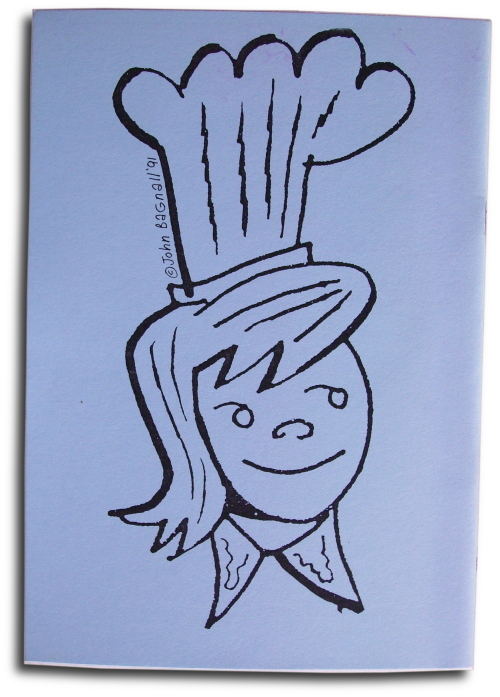 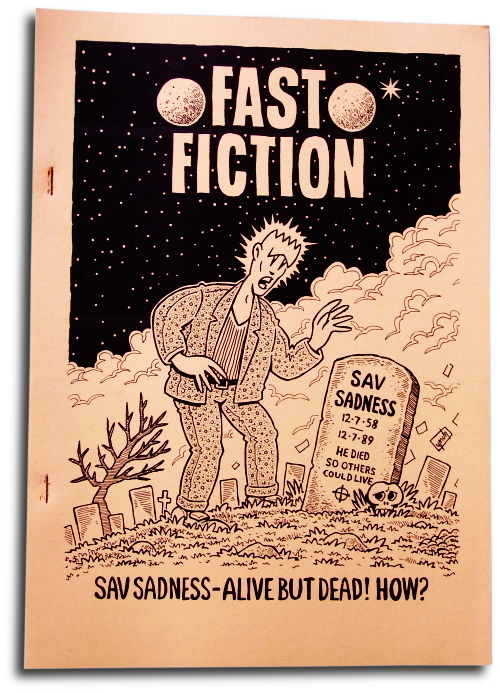 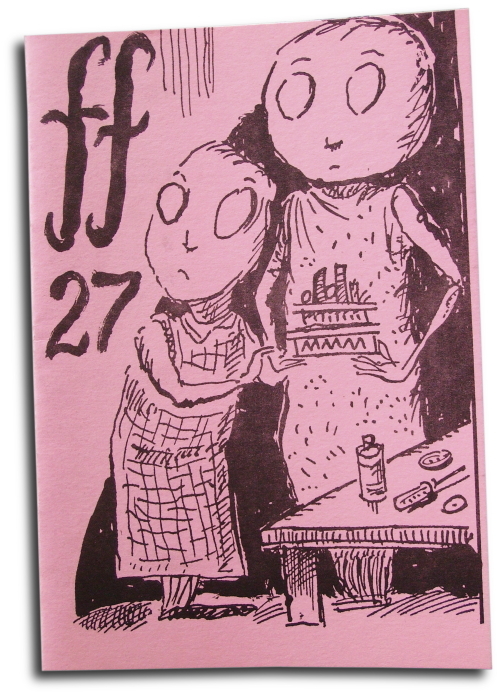 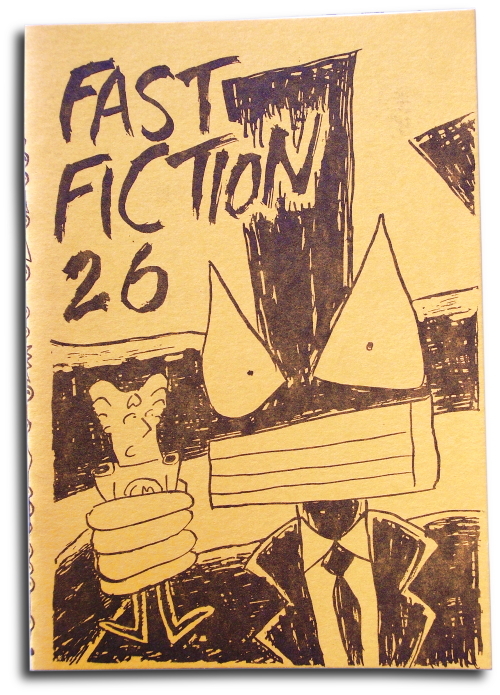 A5 COMIC by Phil Elliott; given away with copies of Fast Fiction #2. 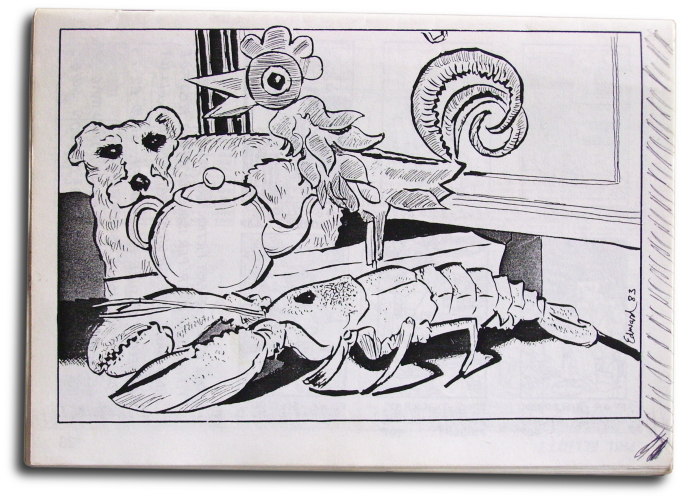 All images on this page are Copyright © 2010 by their respective owners.